Leading Brisbane firm Siecap is honoured to welcome expert industry executive John Henderson to their energy division. 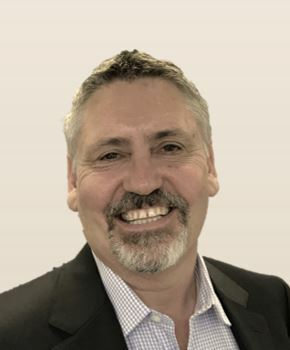 With over 35 years of extensive exposure and involvement in most commodity groups, including conventional and unconventional energy, power generation, and mining and minerals processing, in roles ranging from site engineer to project director, John brings deep and broad knowledge to Siecap’s Advisory Board. In terms of his biggest career achievement so far, John says that being at the forefront of developing a new potential energy source for one of East Africa’s poorest countries was extremely rewarding. ‘I believe we each have an obligation to use the gifts of education and knowledge bestowed on us to help others in their development’ he says. ‘Having the oportuity to participate in the discovery and potential development of a new energy development brought with it the additional rewards of longstanding friendships and cultural integration that I think makes you a better person’. When asked what he has found most challenging in his career to date, John notes that for some time now the industry has been facing a loss of sector experience and the substitution or narrowing of the experience base that has lead to an over-reliance on process and systemisation. “In some cases, this has been positive, insofar as technology and standardisation has been employed to reduce the cost and time of performing repetitious or simple tasks. However, I have noticed a strong trend towards using, for example, only economic measures as selection criteria when solving complex issues, when the problem requires a combination of financial, technical and operational considerations. I think this is related to the dilution of experience in decision-making roles and it is leading to excessive expenditure during the feasibility study phases of energy and resource projects and ultimately, poor investment outcomes,” he explains. As for new industry trends, John says that the energy sector is an important foundation of sovereign and global wealth that must include a mix of traditional, evolving and new technologies and energy sources in the future. “There is a view that traditional energy sources can simply be replaced with new ones, but I believe the best way forward is to integrate old with new. However, we could improve the acceptance of this by being better at gaining social licence for new technologies. As an industry we need to better communicate the fundamentals and linkages between energy supply and demand with national prosperity, that can assist Australia to remain a competitive economy.” he says. Siecap CEO David Irvine believes that with the combined experience and talent of both John Henderson and newly appointed Executive Director – Energy Matt Cooper, and the recent successful delivery of project studies in the energy sector, the Siecap energy business has the potential to grow into a powerhouse business within the Siecap portfolio. “John enjoys both the strategic and operational aspects of energy studies and projects, and Matt brings a wide spectrum of industry contacts and skills to our business. This affords us the ability to identify, assess and implement energy projects that can improve our clients’ bottom line,” he says.